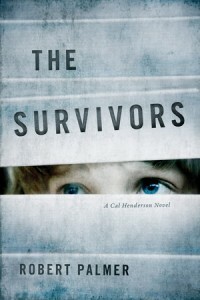 I’m pleased and proud to recommend a new book to you: THE SURVIVORS, my brother-in-law’s debut novel in a new series starring psychologist Cal Henderson. When Cal Henderson was a child, his mother waved to him from the backyard one summer day, then shot herself. Cal, reasonably enough, went and hid under the bed. When he’s eventually rescued, he finds that before shooting herself, his mother had killed his father and his two older brothers, and seriously wounded Scottie, the friend who had been visiting Cal. What happened? And why did it not happen to Cal? Paralyzed by survivor’s guilt, the boy tries to forget and go on with what’s left of his life. Twenty-five years later, Cal’s life looks solid. He’s a successful psychologist, practicing in Washington, DC, and skilled at working with people who lie for a living. Following the traumatic events of his childhood, he was adopted, took his adoptive family’s name, and has mostly moved on from his own family’s tragedy—suffering only the occasional blackout when something triggers a suppressed memory of that summer day. But one day his childhood friend Scottie appears suddenly in Cal’s office, insisting that there must be answers to Cal’s family mystery, and that he and Cal must find them. The FBI wants a few answers, too—from Scottie. It’s an intriguing mystery/thriller that works out on three levels: what happened…and why. And what has it done to the two survivors? And of course, there’s a final question to be answered: will either of them survive—this? iBookstore editions: for iPhone, iPad, iPod, iTunes, etc. Oh, dear … as if I didn’t have enough in my TBR pile! This one sounds as if it need to go right to the top. Read it and loved it!!! Another “must read” author for my list! Thanks for recommending it! I bought a few days ago and read it in one sitting. I could not put it down. Excellent book. I can’t believe it’s his first. Most of my book recommendations are in The Methadone List, which is a feature you’ll find under the “RESOURCES” tab on this website. Hope you find what you’re looking for! I just finished reading book 1, and at the end was a preview for book 2. It was very good! But when I picked up book 2 it did not start with the preview I had been reading at the end of book 1… So I got confused. I purchased the set from Amazon and thought perhaps something went awry. Can you confirm that book 2 starts off in a completely different place than the preview at the end of book 1 left off? “Preview” just means an excerpt from the next book–not necessarily the beginning of the next book. [g] We deliberately chose an excerpt from the middle part of DRAGONFLY (rather than the beginning), _because_ it begins in an unexpected way, and we didn’t want people to read that, mistakenly assume that the book had nothing to do with Jamie and Claire (and thus not buy it). But yes, DRAGONFLY doesn’t begin where you expect it to, and it doesn’t end how you expect it to. Just read it–everything will be fine, I promise. as often as I do. when Brianna asks her father if the knowledge of Jack Randall’s death help him heal. from the moment I read the first words of Outlander ( the Prologue; “People disappear all the time…..”). always one of your books within my reach to enchant me over and over again. Thanks the powers of the Universe for gifting us with who and what you are! Just finished MOBY and will be waiting with great anticipation for book 9. Thanks so much for giving me 4 months of entertainment. I read all 8 books in that time period and can’t remember reading a series and enjoying it that much. Please don’t tell John Sanders (Prey series) or Janet Evanovich (Stephanie Plum), before I was invited to read the Outlander books by my sister, John and Janet were my favorite literary bff’s. You’ve been moved to the number 1 slot. Your stories, ripe with incredible characters and historical settings, are the very reason I learned to love reading as a child. Thank you so much for giving me the gift of your wonderful books. I have now read all eight 4 times. Each time they are more wonderful. The first time I was so worried about what would happen to Claire and Jamie, I could hardly enjoy all the fine nuances of dialog that you are so good at writing. I am a retired Registered Nurse and find Claire’s medical exploits both entertaining and informative. My husband is in the early stages of Alzheimer’s disease and he loves for me to read the books to him. He was a civil war re-enactor and is a great history lover, so your books speak to him as well. I can get him to let me watch the TV show over and over again. (If you ever need civil war or WW II research, I have almost every book ever written on the subject in our personal library). We have been married 36 years now and he is my ” Jamie”. We can’t wait to see how you end this story, or maybe not. I don’t think I want it to end at all. Thank you again for creating a body of work that has enriched my and my husbands lives so much. PS The Starz show should have won an Emmy and Sam Heughan deserved a Golden Globe as much as Catriona Balfe did.